Let your guests take home a piece of wedding cake in style. 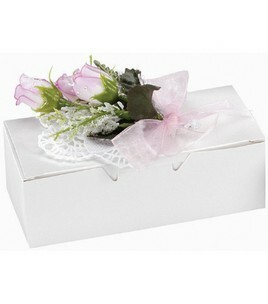 Pack of 20 pearl white boxes (flowers not included). 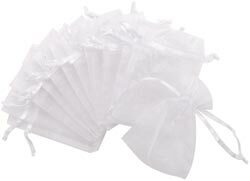 3"X4" - 12 per pack. Sheer, synthetic fabric bag with drawstrings. Ideal for gift giving or favour making for your special event. 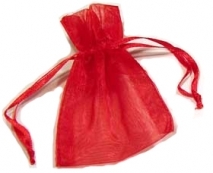 Single 3" x 4" red Organza Bag.